This action sheet is part of the "Energy sheets" series and is included in the "Grey Energy" theme. 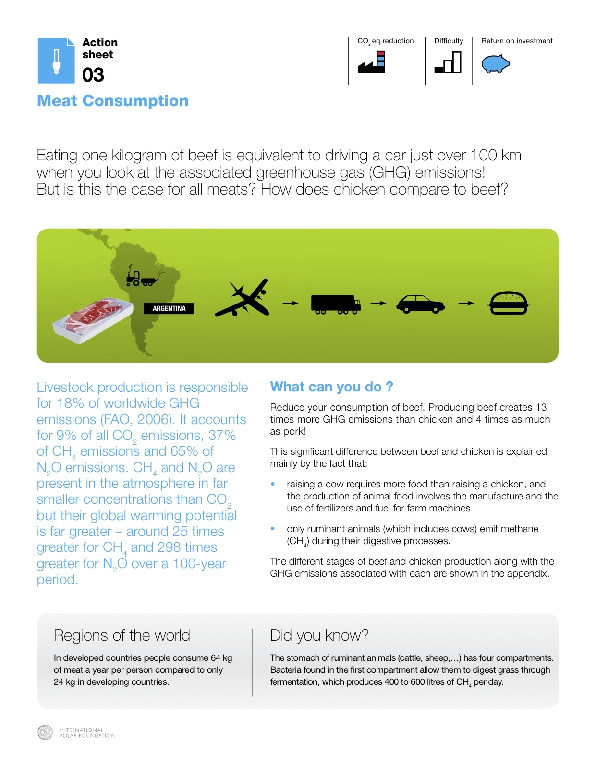 It details the environmental impact that a simple action like choosing to buy a type of meat instead of another may have (e.g. chicken instead of beef).